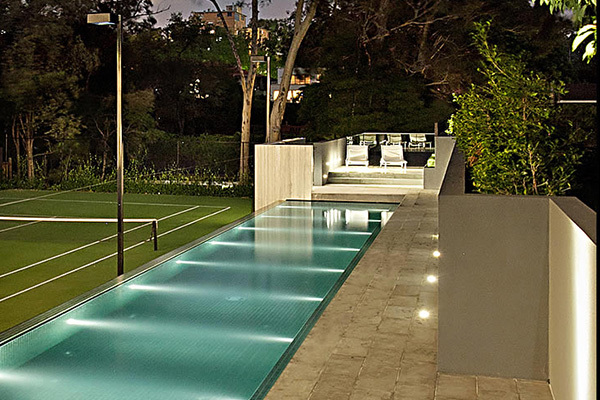 One of the best ways to elevate the beauty of your home is with an Infinity Edge Pool. 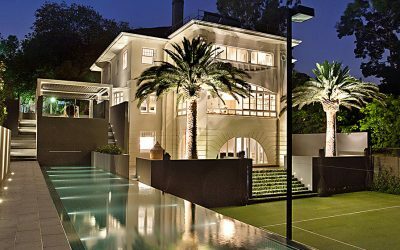 They’ve been installed in the world’s most luxurious resorts and properties and for good reason, as they truly do turn your backyard into a work of art. 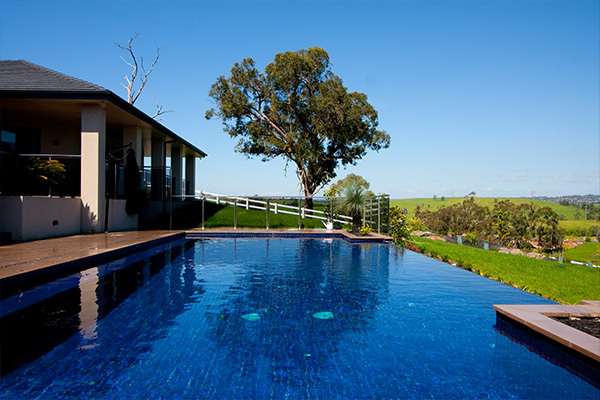 An Infinity Pool (also known as a negative edge, endless pool, disappearing edge or vanishing edge) has one or more sides where the edge of the pool is level with the water, so when the pump is turned on it flows over into a trough below. This gives the illusion that the water is vanishing into the horizon. The effect created with this type of pool depends on where it’s placed, but the effect can be achieved almost anywhere if installed properly. These pools are frequently built against a large space, such as atop a hill or facing the ocean. 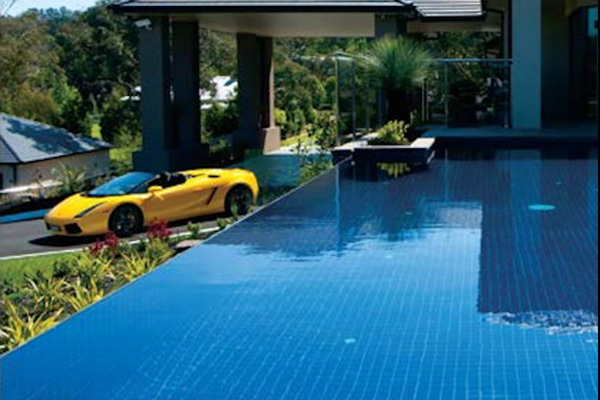 Turn your home into a five star resort with your own custom made Infinity Pool. 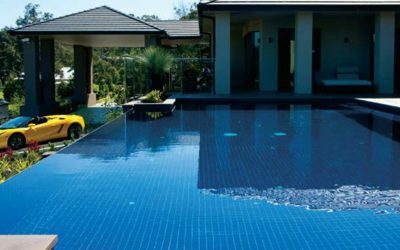 With a wide range of styles and colour options available, you can tailor the look of your infinity pool to suit your existing theme in your home and to make an everlasting impression to your guests. Combine your Infinity Pool with complimenting features such as stone feature walls, gorgeous water fountains and perhaps even a waterfall to maximise the luxury and opulence of your new Infinity Pool.